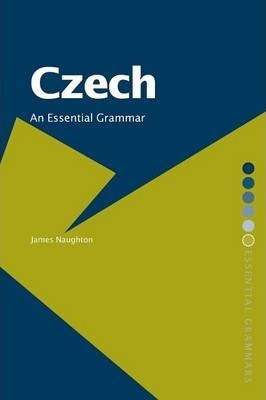 This book is a practical guide to the grammar of modern Czech. Learning grammar doesn’t have to be hard, if it is explained in an accessible and jargon-free way. Czech: An Essential Grammar is suitable for independent students learning Czech on their own and it can be used in classroom contexts as well. It uses authentic examples from real life and focuses on the modern language used by native Czechs today. The book explains the most important differences between the official, written Czech (spisovná čeština) and the spoken, colloquial Czech (hovorová čeština / obecná čeština). The author, Dr James Naughton, was a lecturer in Czech and Slovak at Oxford University. He is internationally known for his translations of Czech and Slovak literary works.